A mid sized US CPA firm in Pennsylvania providing bookkeeping, taxation and consultancy services to small medium enterprises in IT, hospitality and retail sectors. Most of the accountancy services were on two software packages namely QuickBooks and Peachtree. The client was interested in exploring outsourcing bookkeeping services. These services initially included invoice processing and vendor and bank reconciliations. Since the client had never outsourced before, their prime concerns were related to quality and data security. Further the diversity of their client base meant that our offshore team would have to quickly learn multiple invoicing formats and methods across different industries. For e.g. one of their clients dealt with spare parts, and required inventory tracking of items. Another client was a services firm performing contractual jobs and required progressive invoicing to customers. We started with directly addressing every query of the client regarding data security and quality. We explained the various data security measures undertaken at our premises and during the data transfer process. Our measures like encrypted transfer of data between client and us, use of firewalls in our server, and the regular data backups assuaged client concerns regarding data security. Our use of encrypted technology during data transfer, similar to the one used during online credit card transactions gave additional credibility to our claims. 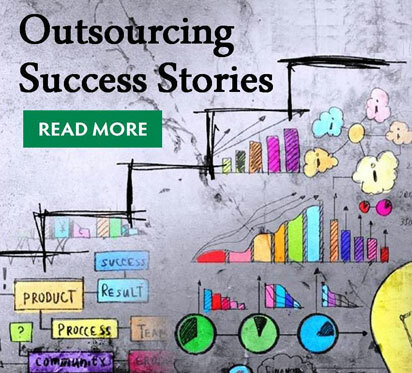 The prior experience of our key staff in accounting outsourcing coupled with the extensive training imparted to our processors in QuickBooks software helped us confidently address questions regarding the software. To ensure that quality was never compromised, our dedicated quality control resource checked the output files before processing. Further we established a system of double data entry (parallel processing of the same invoice) by two processors for critical invoices to ensure process accuracy. In the trial phase, the client would upload the data (invoices, purchase orders and bank statements) in scanned form onto his server. Our team at Delhi would then remote access to the client server through a 128 bit SSL encrypted connection and download the files. We would then batch process this data in the QuickBooks software and upload the file back into the client system. This file would then update the records in QuickBooks in the client server. We helped client achieve savings of about 40% in invoice processing and reconciliations during the trial phase. We also met the deadlines set for the individual processes. The full project is currently under implementation. Initial results have confirmed the savings achieved during the trial phase. 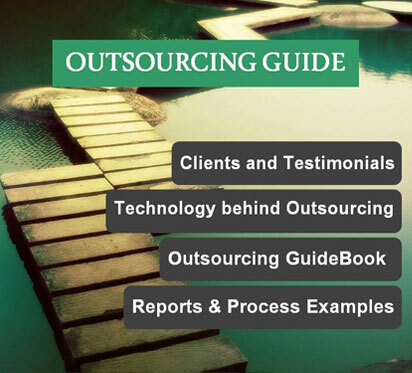 If you are interesting in knowing more about how outsourcing can help your organization, please email us at sales@outsourcinghubindia.com or call us at 1-646-367-8976. We can also provide a cost-benefit analysis customized for your organization.